Inspired by Aleksandr Solzhenitsyn’s account of a Soviet labor camp revolt in Gulag Archipelago, Volume III, the story follows political prisoners and security officials at a corrective labor camp in Kamas, Utah, where inmates seize control during the summer of 2024. 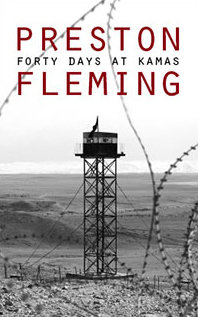 In Forty Days at Kamas, author Preston Fleming offers a stirring portrait of a man determined to survive under the bleakest of conditions and against formidable odds. Fleming’s gift for evocative prose brings the characters and events to life in a way that arouses emotional tension while also engaging the reader’s intellect with fundamental questions about the future of American society.